ProVee Race Hull  - $99.00 : Welcome to Zippkits! Now includes both front and rear facing scoop option! The ProVee is an easy to build, Full Race vee hull, suitable for the first time boat builder. We have done every bit of the hard work. All holes are pre-drilled for 100% of the hardware and engine mounts. If using our mounts and hardware, simply drill the transom holes all the way through. The ProVee was designed as a competition hull for lots of power and rough water. We spent a lot of time developing this hull. 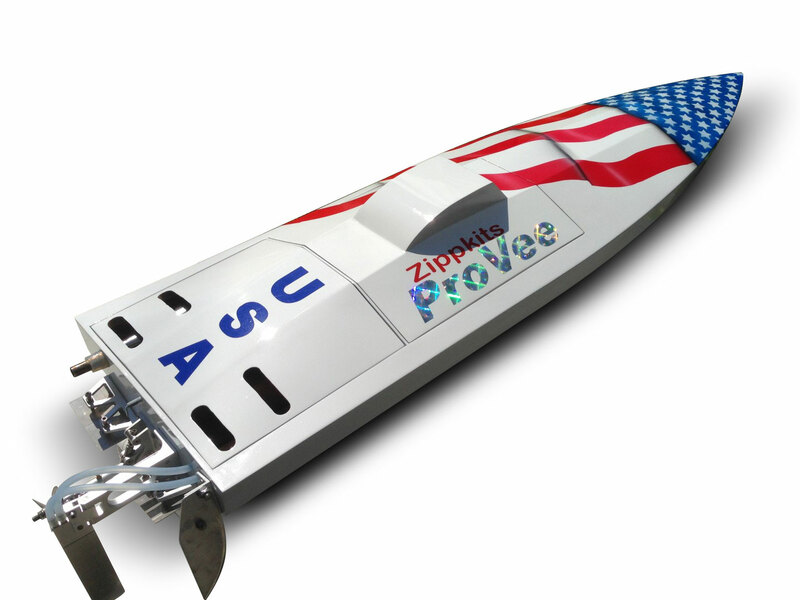 As a result, the ProVee is the fastest, smoothest, best handling race boat you will find. This hull can reach speeds of 65+ mph with a modified engine. Makes an excellent race boat or a great running sport boat. 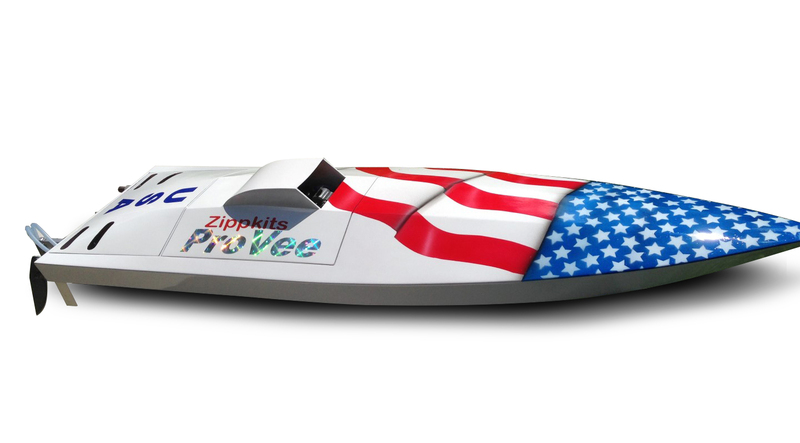 The ProVee is the current state of the art in Gas Mono Hull design for 2015-2016. Requires a high torque 1/4 scale servo for steering. Note that this hull was designed for our engine mounts and a Zenoah 23-30cc style of engine. If you use different engine mounts, or use a Zenoah 32cc engine, you will need to do modifications to the engine rails, shaft tube and air scoop. Our mounts are small, and as a result, we are able to run the engine very low in the hull. Our mounts also have the correct amount of isolation to prevent broken pipes and headers. We have a "Pro" Hardware Set with just the major parts, including our engine mounts available HERE.